No matter how many times you’ve attended Lollapalooza, there are always a few surprises in store when you enter Grant Park on the first day of the festival. Last summer, attendees were greeted by porta-potties that actually flush (they’re back again) and a roller skating rink. This year, some rearranging of VIP amenities has created a pocket of extra space on the south end of the park, including more spots to sit down and watch sets. While rain was in the forecast for Thursday, the skies above Lolla remained sunny and blue throughout the afternoon, though the sweltering heat was a preview of just how hot it will get when temperatures break 90 degrees this weekend. 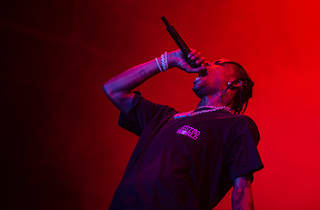 The park seemed less packed than usual for much of the day, but those who arrived early flocked to sets from Valee and G Herbo, demonstrating the power of local hip-hop on a lineup that usually looks beyond Chicago. Thursday afternoon was rife with repeat appearances, as the Wombats, Franz Ferdinand, Chvrches and Rebelution returned to Lollapalooza. Much of the crowd gravitated to the north end of the park, where rapper Jaden Smith screamed along to backing tracks and R&B newcomer Khalid delivered a heartfelt set. 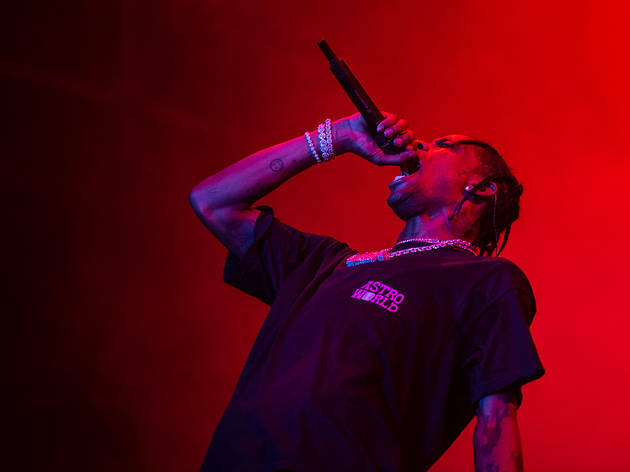 With the release of his new record, Astroworld, just hours away, hip-hop superstar Travis Scott commanded the largest audience of the evening—thankfully, he didn't encourage his fans to rush the stage this time around. Across the park, Arctic Monkeys turned in a strange but captivating set that showcased its sci-fi concept album, Tranquility Base Hotel & Casino, and went at least 15 minutes past the park's usual curfew. Relive day one at Lollapalooza with our photos of Thursday's best acts and faces in the crowd.